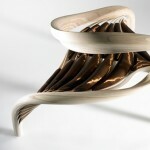 Joseph Walsh is a talented self-taught designer who specializes in creating twirling wood furniture. 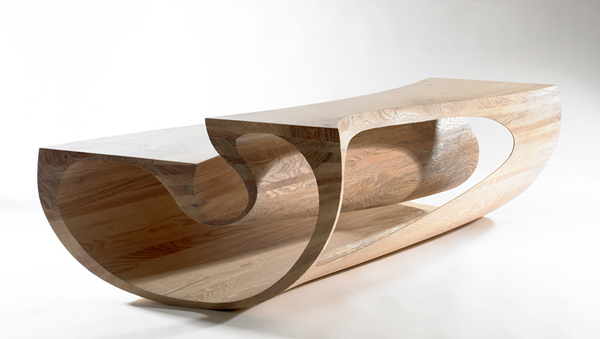 Walsh‘s amazing work with wood results in unusual, unconventional pieces that reinterpret such a recognizable and familiar material – wood. 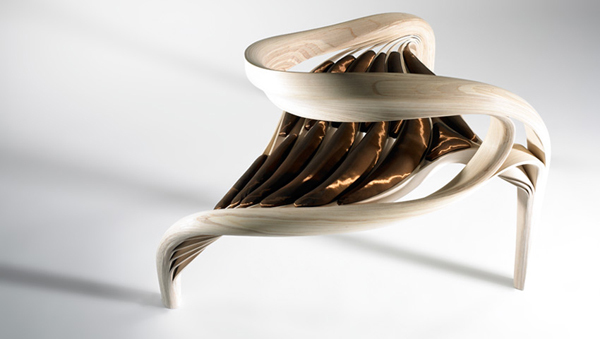 Learning and developing techniques Walsh comes up with both creative and luxurious pieces that not only reinterpret wood use but also the object themselves. 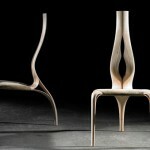 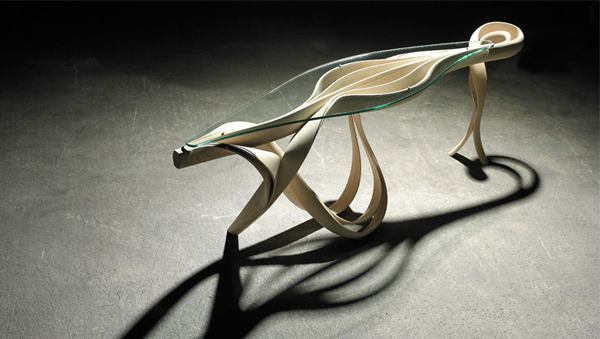 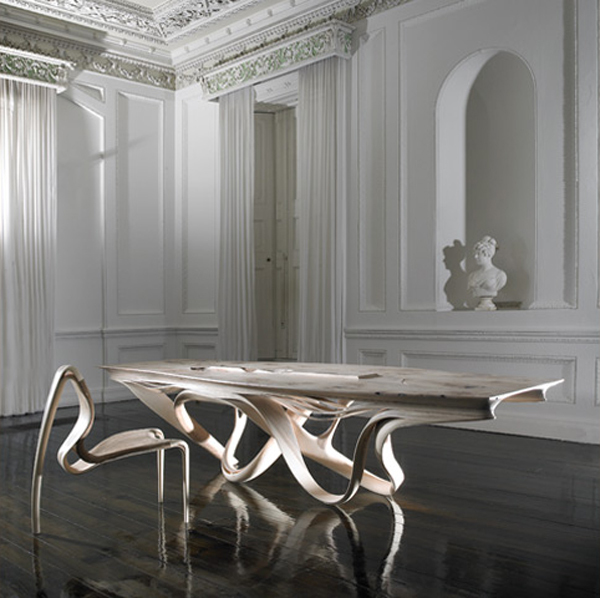 From tables to beds and chairs Joseph Walsh sculpts his creations so as to make the wood “dance” and flow. 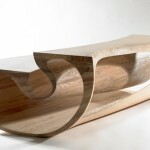 Flowing tree trunks are not uncommon for wood‘s natural state so it finds place in Walsh‘s designs. 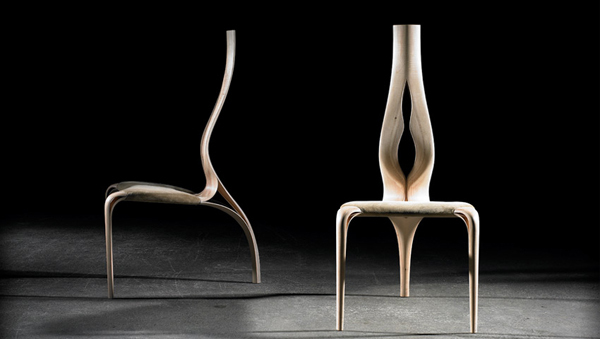 Wood appears to be more flexible and unusual than we know it in these objects but no matter their aesthetic appeal they are very much functional. 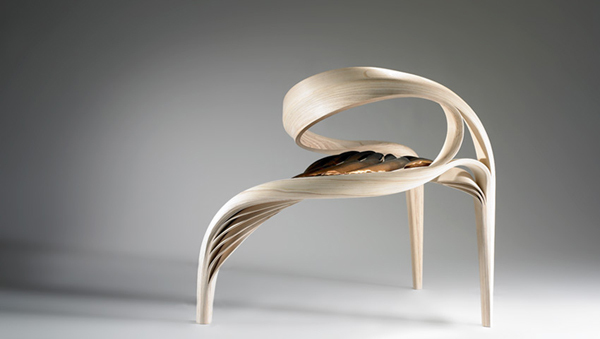 I believe we can enhance the quality of our lives by surrounding ourselves with objects that possess values beyond their function or aesthetic, that possess intelligence in their creation, that one can interact with and that will stimulate senses each and every time one engages with them. 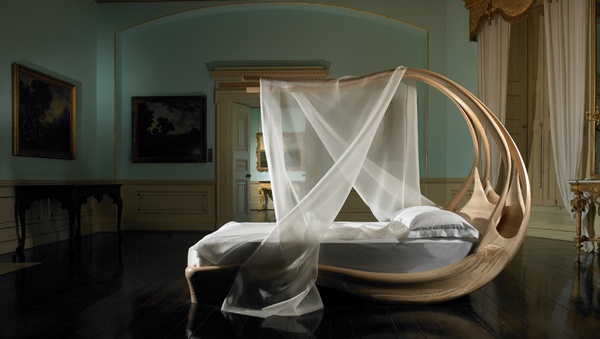 Joseph Walsh‘s famous Enignum Canopy Bed has an unusual almost fairy-tale-like design with wood stripped to its thin layers and base. 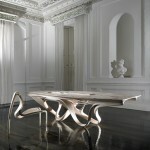 The sculptured form of the bed was meant to enclose the space making it more private. 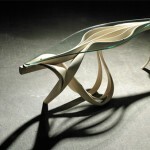 But that antenna-like canopy reminds me of grasshopper that is about to jump put the window to seek journey.